← “Brighton Faunatic” A Petting Zoo Showcase! Fantastic flukes and chancers that we are, 4 of our earliest posters were included in this rather large and colourful hardbound book by Mike Evans… Listed under ‘The Pinch’ (another guise of the Zookeeper), the prints sit beside an earlier Pre-Zoo (BZ?) poster for Seasick Steve in the contemporay section… we’re like in there with bloomin’ folks like Nick Knight, Vaughan Oliver, Jamie Hewlett, Tim Biskup, TaraMcPherson and our poster hero Guy Burwell! …and we got a whole page – mental! Nice chunky embossed cover, dig? We’ll get a layout shot in this post at some stage – or you can dash to Waterstones and snag your own copy! Woop! 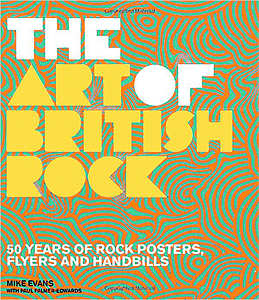 This entry was posted in Gigposters, Publications and tagged art book, book, gigposters, Jamie Hewlett, Mike evans, Petting Zoo Prints & Collectables, posters, print, publication, Seasick Steve, the art of british rock, The Pinch, vaughan oliver. Bookmark the permalink.